Improve performance and fuel mileage! JEGS Throttle Body Spacers will make your vehicles perform significantly better! Tests have shown a 10% increase in torque, 15% more horsepower and 8% better fuel economy. They do this by giving your intake more plenum volume to increase intake velocity for a better, more atomized air/fuel mixture. 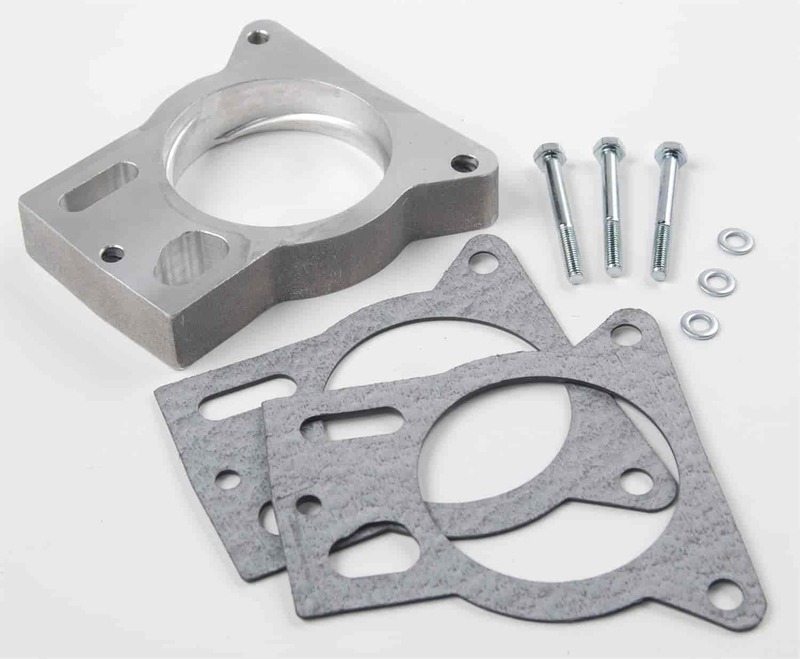 JEGS throttle body spacer is made of cast aluminum. Includes gaskets and hardware. Not designed for use with FIPK style cold air kits. CARB EO# D-623. .
15409 is rated 3.0 out of 5 by 2. Rated 2 out of 5 by Willie Beaman from My part works well, however, it wasn't as easy as just a bolt on. Modifications have to be made to the fan cowl, fan blades, and water pump shaft in order to be functional. Knowing this information prior would have been helpful. My opinion is all.